International Women’s Day (IWD) was celebrated for the first time on 8 March 1911. This makes 2011 the global centenary, celebrating the economic, political and social achievements of women in the past, present and future. Even more importantly, it reminds us of gender inequalities still to be redressed. At the beginning of the 19th century women fought against oppression and against inequality; they fought for better pay and for voting rights. However despite many positive developments over the last 100 years, huge gender gaps still persist between women and men. Women are still not paid equally to their male counterparts. Across the EU there is currently a gender pay gap of 17.8%. Globally the situation concerning women’s education, health and the violence against them is worse than that of men. We are witnessing a feminisation of poverty, with single mothers and their children, elderly and migrant women all especially vulnerable. Moreover women are still not present in equal numbers in business or politics. Women account roughly for only 24% of Members of national parliaments and governments in Europe. Today, in light of the 100 year anniversary of IWD, I am officially launching a second electronic version of my popular Women in Power booklet. 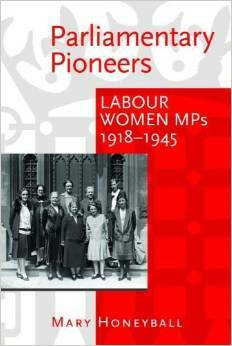 This takes a look at the wide-ranging successes and achievements of female MPs in Westminster. It compliments my earlier directory (which you can find on my website) profiling the 257 female MEPs in Brussels. Each individual is listed with a full biography and image so that readers can gain more information on Members. It is an essential guide for anyone wishing to learn more about the female demographics of the UK Parliament. Please do have a look by clicking here. The far-reaching successes of women in politics were celebrated at a special IWD event in the European Parliament on the 3rd March. This was organised by the Women’s Rights Committee and brought together an impressive list of speakers. Among them were Mary Robinson, former President of Ireland, Jerzy Buzek, current President of the European Parliament, and Nicole Fontaine, former President of the European Parliament. Nele Lijnen, Chair of the Advisory Committee on Equal Opportunities, Alena Gajdůšková, Vice‐President of the Senate in the Czech Republic, and Marlene Rupprecht, Member of the Committee on Family Affairs, Senior Citizens, Women and Youth in Germany, also said a few words. Later today, my Socialist colleague Karin Kadenbach MEP will be chairing a small meeting in the European Parliament in Strasbourg to celebrate women’s achievements and to discuss the challenges for the next century. The guide to female politicians in the House of Commons was interesting. The one about Kate Hoey was good but it did not mention her stance over what she calls the EU Treaty and is know to others as the EU Constitution, the Lisbon Treaty and the EU Cositreaty. She believes that there should be a public referendum about it. Her views are very different from other members of her party. They do not want a referendum even though they promised one. David Cameron, whose party (along with his coalition partners) also promised a referendum, had something very interesting to say on the matter. He was asked by an interviewer if he thought that there should be a referendum. The answer was no, because our membership of the EU was good for Britain. The clear implication of this is that he thinks that the public would vote against the treaty. Even the Tories have woken up to what is obvious to most people; that the Federal institutions of the EU are deeply unpopular. ← A move towards democracy in the Middle East – but what about the women?